Episode 14 - The Meaning Of Om - Alanna Kaivalya, Ph.D.
It’s the yogi’s favorite song, the great hymn of the universe, the sound of Om. More than likely you’ve been chanting Om for a while and you’ve probably heard it at the beginning and at the end of yoga classes. Surely you’ve got some music that you play in classes that includes the chant and perhaps you’ve even seen its image printed on t-shirts or other yoga gear. Om is ubiquitous, whether it’s within yoga or even in pop culture. 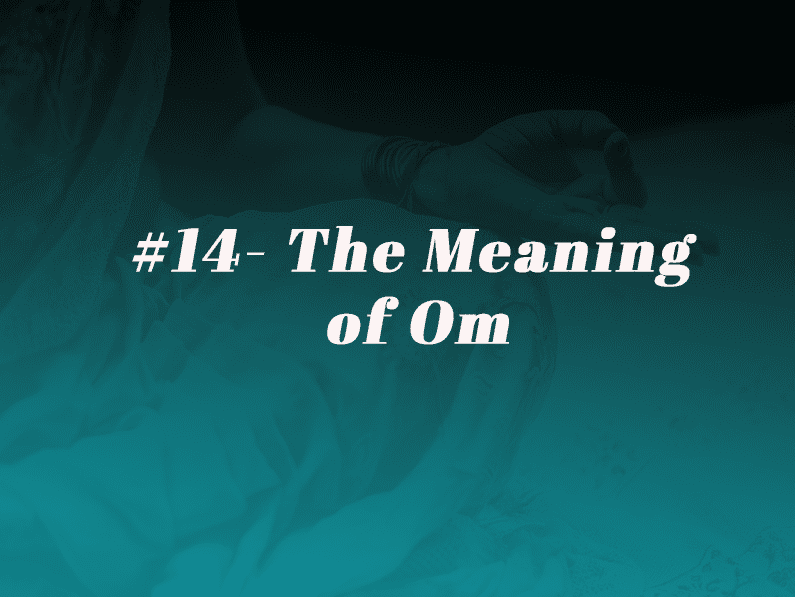 So in this podcast, we’ll talk a little bit more about what Om is, why it’s so important to the yogi and how it actually works. What do Shiva and Vishu have to do with Om? What are the 4 sounds of Om? Om connects you to who you are and to everything around you. Even though we experience ourself as a physical body, we are an energetic body. We are a wavelength. We are sound. When we feel out of sorts, when we are feeling a sense of discord, when we have a bad vibe, our vibration is not resonant with that of the universe. To chant Om not only wakes us up, it not only elevates our energy, it not only connects us with the cycle of life, but it also helps to align us with the vibrational source of the universe. We feel a sense of harmony when we chant Om. Of course, this podcast features a freebie which is my Om worksheet. If you want notes on all the things I’ll share with you today about the importance of Om, then download my Om worksheet.